Extend the useful life of your bearings with our comprehensive range of lubricants and lubrication systems adapted to every application. Our solutions are easy to implement and use. Why is there a range dedicated to lubrication? 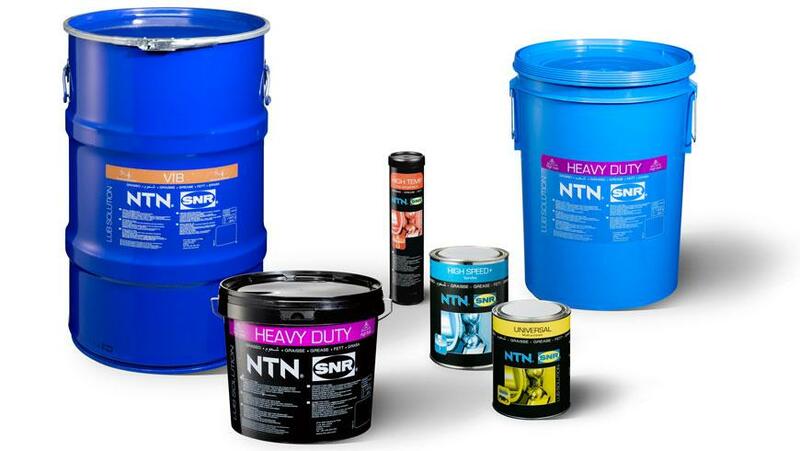 Choosing the NTN-SNR lubrication range guarantees the useful life of bearings and optimization of costs. Our lubricants are selected for your various applications, as well as providing the means to reliably distribute the correct volume required for each mechanical body. UNIVERSAL: general use grease for the industry and automotive applications. UNIVERSAL grease is available in different packages. The UNIVERSAL+ version is designed for usage in the multi-point lubricators. HEAVY DUTY: premium grease for intensive use in heavy industry. HEAVY DUTY grease is available in different packages. The HEAVY DUTY+ version is designed for usage in single-point lubricators. VIB: grease for parts subject to major shocks or vibrations. VIB grease is available in different packages, including for single-point lubricators. HIGH TEMP: ideal grease for long-lasting lubrication and under high temperatures. HIGH TEMP grease is available in different packages, including for single-point lubricators. 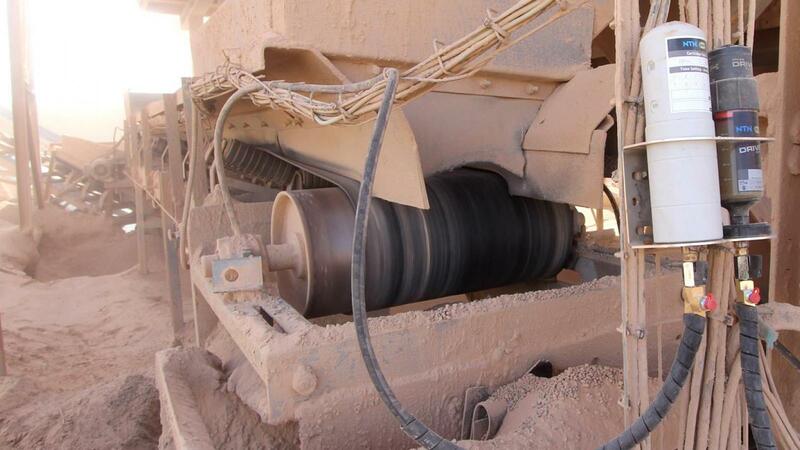 ULTRA HIGH TEMP: grease for long-lasting lubrication, and for any type of bearing subjected to extreme temperatures. ULTRA HIGH TEMP is only available in 800g cartridges. FOOD AL: multi-use grease for the food and pharmaceutical industry. This type of grease is available in different packages. The FOOD version is designed for usage in the multi-point lubricators. FOOD and FOOD AL are compliant with NSF-H1 recommendations (National Sanitation Foundation /H1: occasional contact with food) and can be used where accidental contact with food is technically possible. HIGH SPEED+: low temperature grease for very high speeds. HIGH SPEED is only available in 1kg boxes. CHAIN OIL: synthetic oil designed for industry, for the lubrication of all types of channels (including those working in high temperature environments). 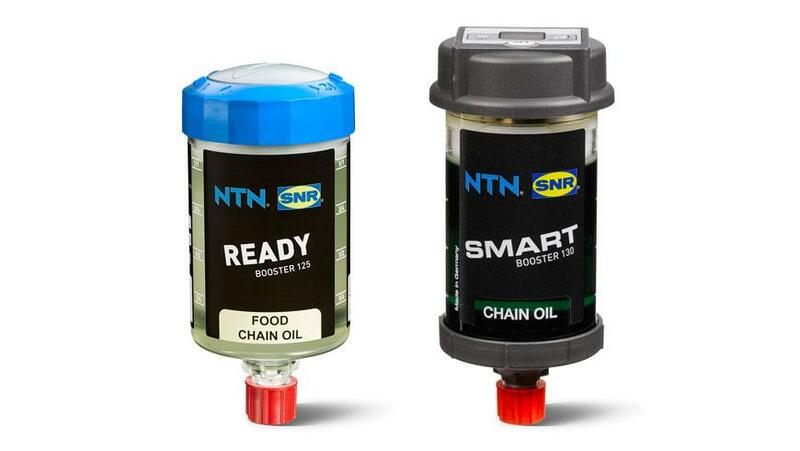 CHAIN OIL is only intended for use in single-point lubricators (Ready/Smart/Drive). FOOD CHAIN OIL: synthetic oil for the food and pharmaceutical industries, compliant with NSF-H1 recommendations (National Sanitation Foundation /H1: occasional contact with food). FOOD CHAIN OIL is intended to be used only in single-point lubricators (Ready/Smart/Drive). 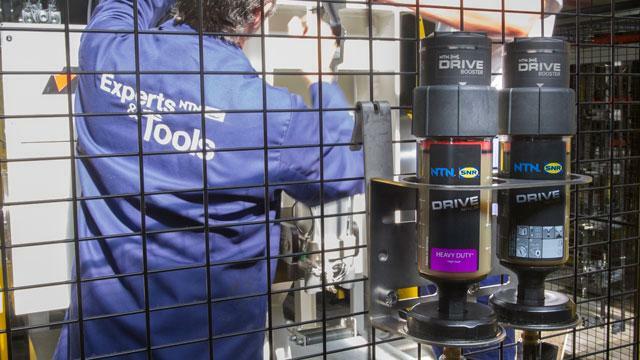 The range of single-point self-lubricators ensures continuous, reliable, clean and extremely precise lubrication. Easily integrable in different types of applications (mechanical and automotive industries, steel mills, paper mills, etc. ), single-point self-lubricators result in an optimized lubrication function, without the need to modify your facilities. 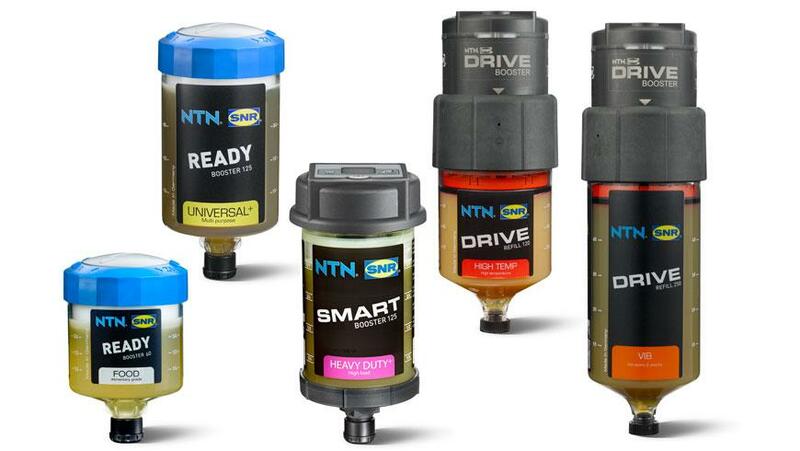 NTN-SNR offers 3 types of single-point lubricators: Drive, Ready and Smart. Each responds to different applications: humid environments, variations in temperature, situations requiring a specific dose, either remotely or physically at the point to be lubricated. READY BOOSTER (size 60 or 125cc): the READY BOOSTER lubricator is the ideal economic solution for difficult, humid or explosive environments, or those environments exposed to corrosion or requiring maximum levels of hygiene. The length of time for distribution of the grease is adjustable from 1 to 12 months very simply, via an activation wheel. SMART BOOSTER (size 125cc): the SMART BOOSTER lubricator is intended for explosive atmospheres where there are strong variations in temperature. It is the first electrochemical self-lubricator that is equipped with a reusable control unit. The length of time for distribution is very easy to adjust to the closest month (from 1 to 12 months) by means of simple manual pressure on the control unit. DRIVE BOOSTER (size 120 or 250cc): the DRIVE BOOSTER solves lubrication needs in dangerous or difficult to access areas, which are subject to severe vibrations or high ambient temperatures.. It is a tool that is powerful, fast and easy to programme (usage period of 1 to 12 months, modifiable and can be stopped at any time), which allows extremely precise lubrication that is independent of the temperature and ambient pressure, and which has a high operating reliability. 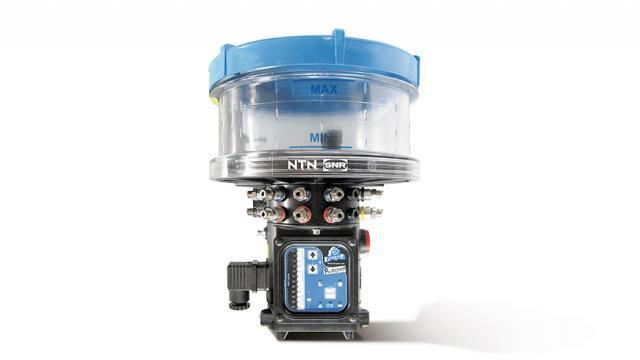 NTN-SNR has worked with POLIPUMP to develop a high-performance, cost-effective and easy to use multi-point lubrication solution. Installed in only 4 steps (no technical skills required), the POLIPUMP enables really simple lubrication from 1 to 35 points (depending on the model) and at a distance of up to 20 metres.